Back in June, Microsoft built an underwater data center off the Scottish coast. The company has installed some underwater cameras to keep an eye on things, but Microsoft isn’t keeping the view all to themselves. The company is generously livestreaming the view, just in case watching fish swim around large submerged data is your thing. The first question you might have about underwater data storage is “why”? But there are perfectly logical reasons to have underwater data centers. Part of it is about speed, while the other part is about cooling. Roughly half of the world’s population lives within 120 miles of a coastline, which means that there can be considerable lag time delivering data when those centers are positioned inland, often in rural and unpopulated places. By putting data centers just off the coast, they’re not only able to deliver data to large populations quicker, they can also save energy on cooling. With the money and energy saved on cooling costs, Microsoft claims its underwater data centers can run on 100 percent renewable energy. 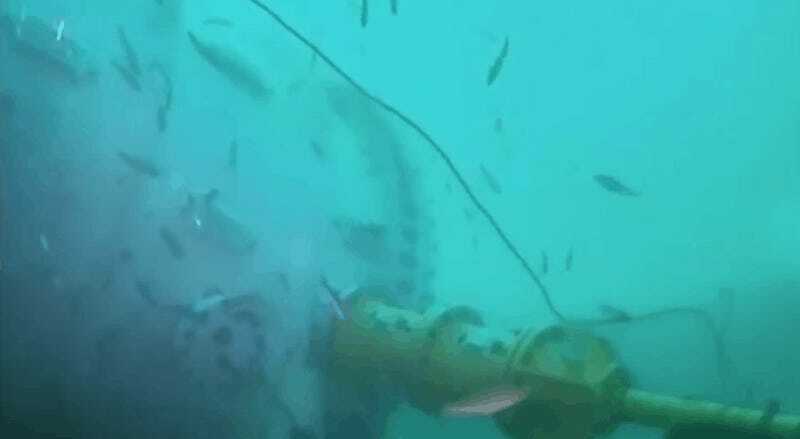 Again, watching underwater cameras showing off data centers may not be everybody’s cup of tea. But if it is, you’re certainly in luck today. Just tell your boss you’re watching for science. After all, the data center isn’t too far from Nessie.